We’re welcoming Fall with open arms here at the House of Wood. Today was a brisk 88º, so it’s practically winter! Time to break out the scarves and boots! No matter. 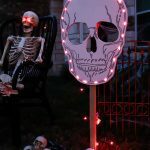 I’ve been busy decorating our home for Fall. 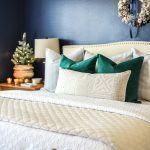 When I think of Fall, I think of deeper, richer colors, so I switched out my navy and leather pillow covers to these dark teal ones I picked up from At Home a couple of months ago. 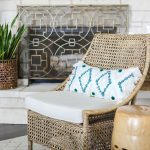 I just adore the stitching detail on this pillow and they matched my existing pillow covers perfectly, which was a happy accident! 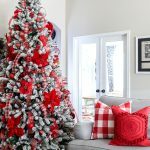 I’m thrilled to be joining my other blogger friends as we share how we’ve decorated our spaces for the season. 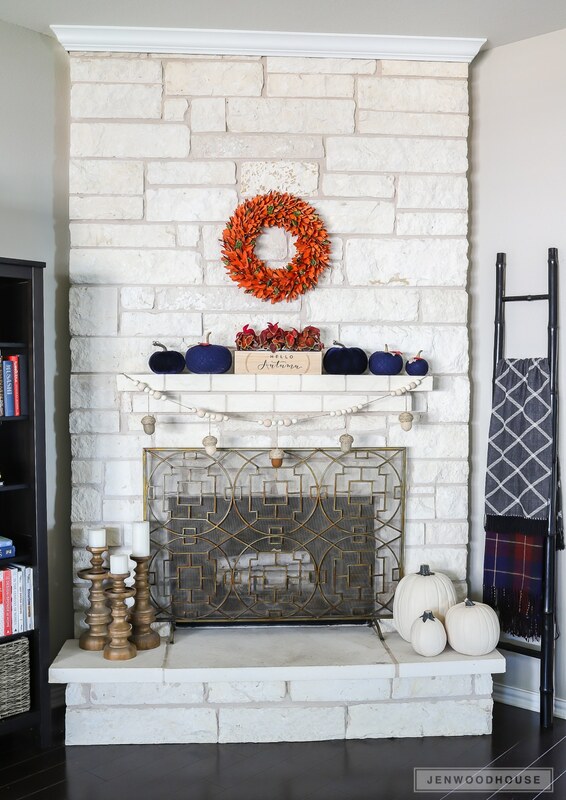 Simplicity is the key word here, so you’ll find easy and affordable decorating ideas for Fall. Be sure to visit all of the homes at the end of this post – this home tour lasts all week. If you’re dropping in from Maison de Pax, welcome, I’m glad you’re here! I’m always inspired by Rachel’s effortlessly elegant style. 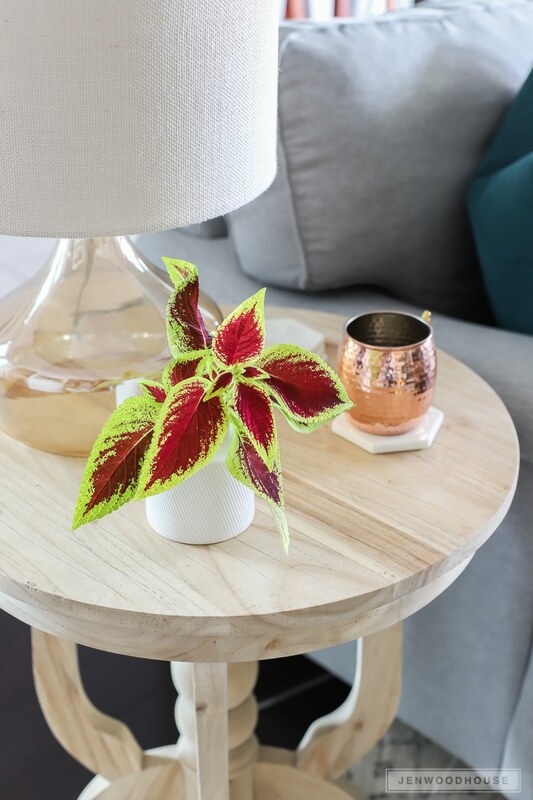 How gorgeous and vibrant are the colors on this coleus plant?! I seriously cannot get over how striking it is – and I didn’t alter the colors or vibrancy in my photo editing program – it really is this amazing in real life! I snipped a branch off of the plant in my front yard, stuck it in a vase, and called it decorating. 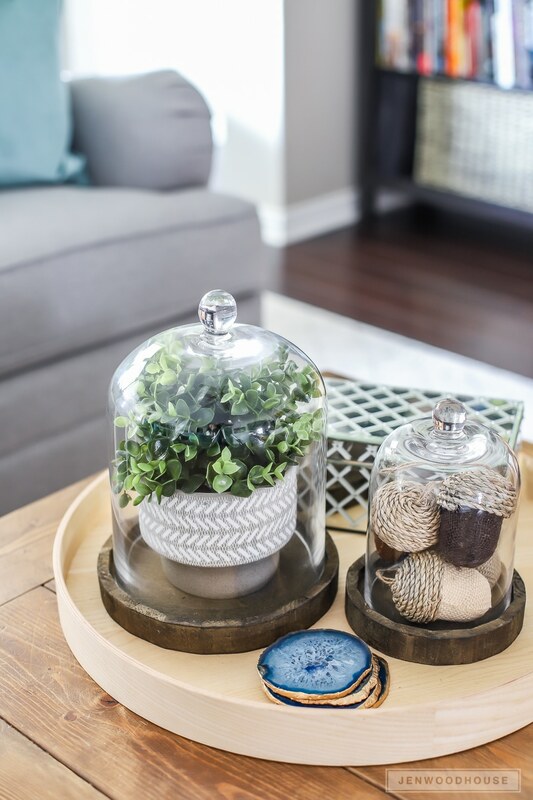 It’s such a simple, small touch, but it literally brings this little vignette to life. I recently added a new side table to the living room and am absolutely loving it! 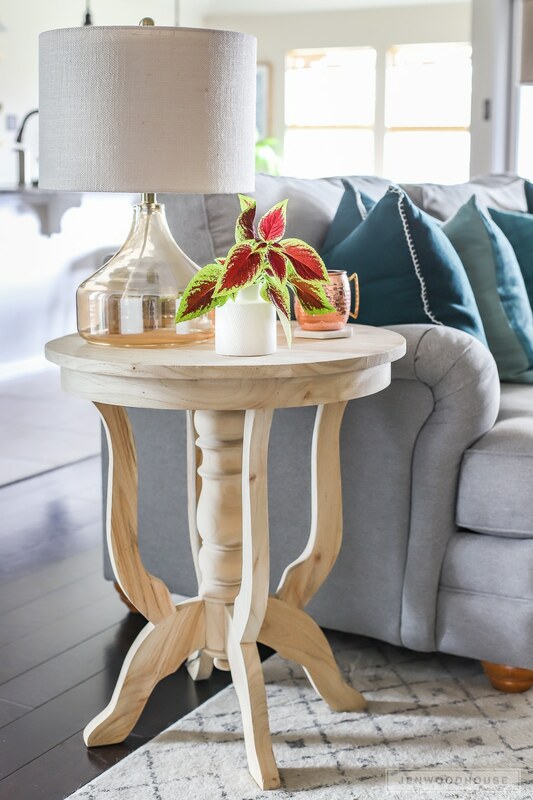 The natural wood, the elegant turned pedestal… ah, it’s speaking my love language! And the top is surprisingly spacious too. The wood is completely unfinished though, so I’m going to have to add a clear top coat to protect it from any spills. 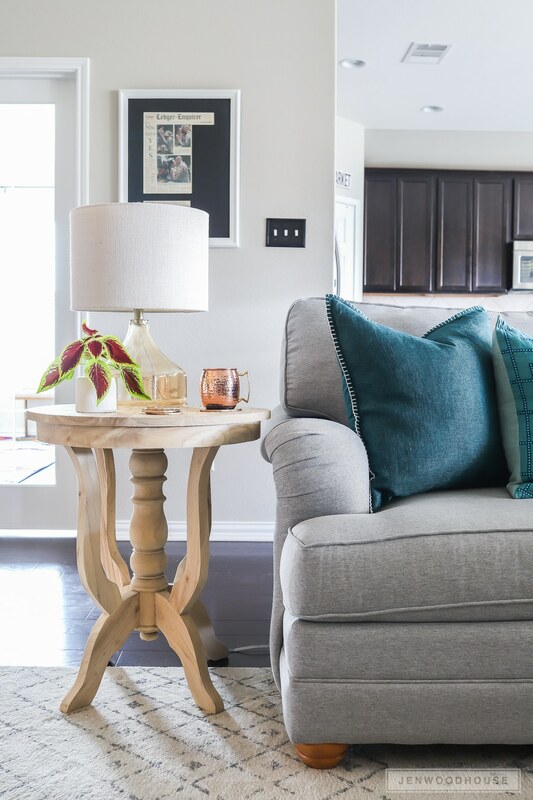 The glass table lamp is from our master bedroom – shopping from your own house is fun and easy on your wallet! The lamp sat on my dresser for over a year and we rarely used it, so I moved it to this side table. It not only creates a whole new look, but it’s going to get a lot more use here. I love the shape and squat size – it sits low so it’s not obtrusive (and less likely to be knocked over by our tiny humans), yet it’s still substantial enough to make a statement. And I’m obsessed with that amber-tinted glass! 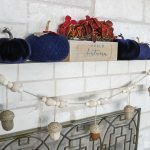 A couple of weeks ago, I shared how I decorated our fireplace mantel for Fall in shades of navy and burnt orange, along with a tutorial for that adorable DIY acorn garland that I made. 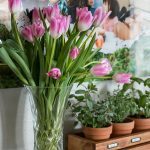 You can find all the product details and sources in this post. 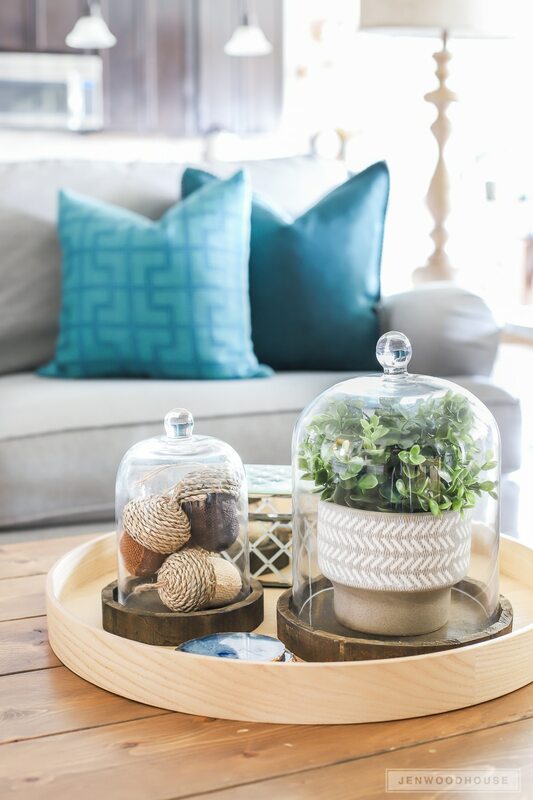 On the coffee table, I tucked some leftover burlap acorns into a glass cloche. I picked him up from Anthropologie and things are getting serious. I mean, can you even handle his cuteness? 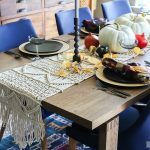 Decorating for the changing seasons doesn’t have to be complicated or expensive. 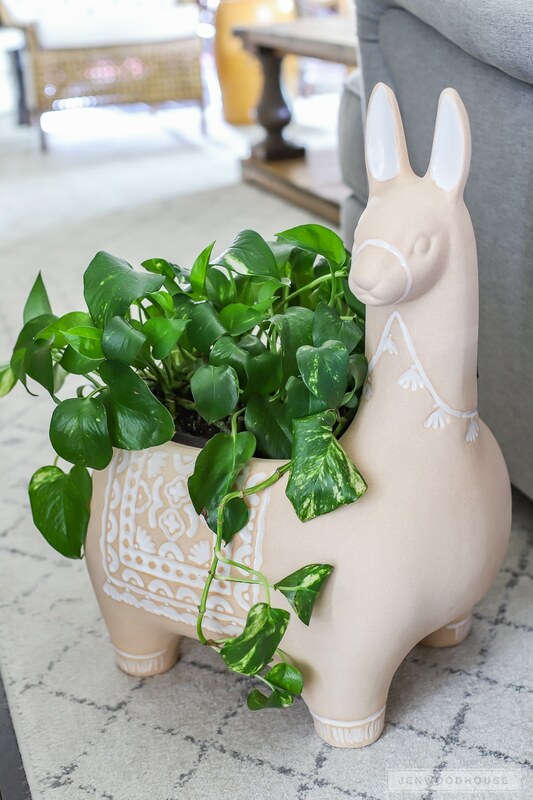 Just a few simple, yet thoughtful details are all you need! 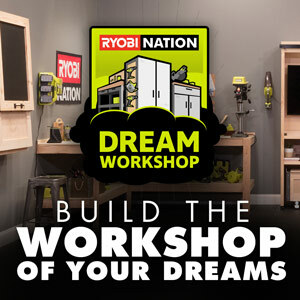 Thanks so much for stopping by – I hope you leave inspired. 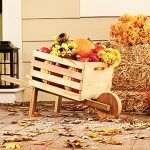 Are you ready to see even more Fall decorating ideas? 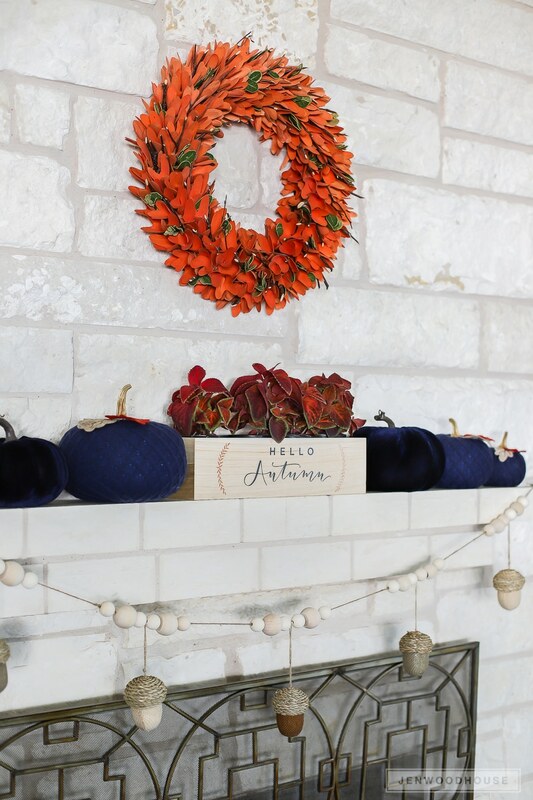 Click the links below to see how my blogger friends decorated their homes for Fall! 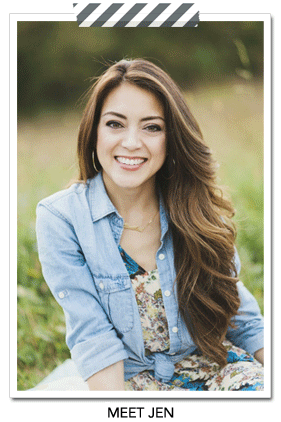 Jen, you have so many wonderful fall touches! I love the coleus too…I planted some in the spring in a planter and it’s HUGE now. The colors are so striking!